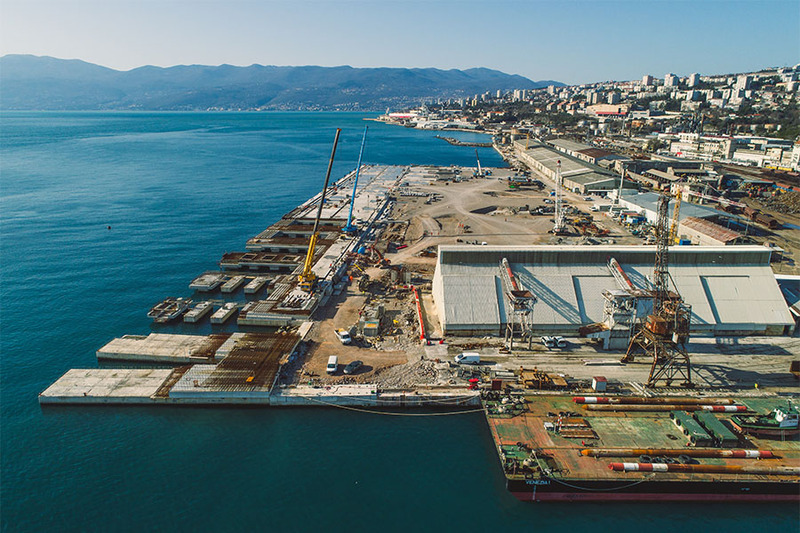 In order to achieve competitiveness, the Port of Rijeka Authority has initiated the realization of the new Deep Sea Container Terminal, which guarantees new modern port facilities. 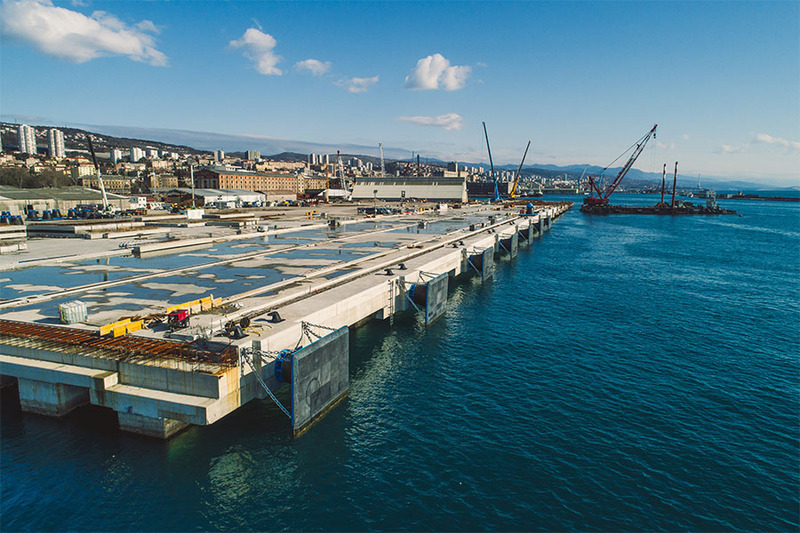 This is the most important component of the Rijeka Gateway Project, a terminal designed as a straight pier with a final length of 680 m and an average width of 300 m. The planned depth of the sea at the pier is at least 20 m and allows for the reception of container ships of all sizes. 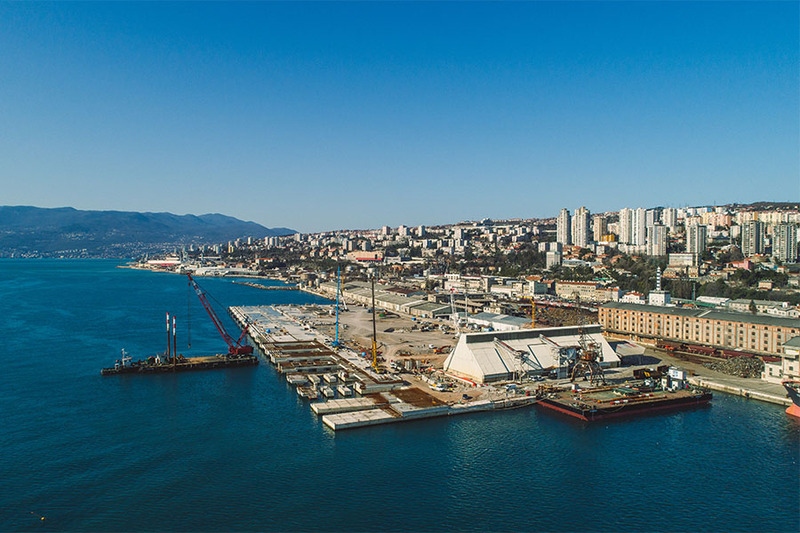 The terminal is built in two phases, with the first phase involving the construction of a 400 m long pier and the second phase the construction of an additional 280 m. At the end of both phases, the Port of Rijeka will boast a pier with a total length of 680 m. The construction of the first phase of the pier is in its final stage, and parallel to the construction of the pier the railway interface of the terminal will be reconstructed and the connecting road D-403 will be built. The continuation of construction of the remaining terminal phases is the obligation of the future concessionaire. 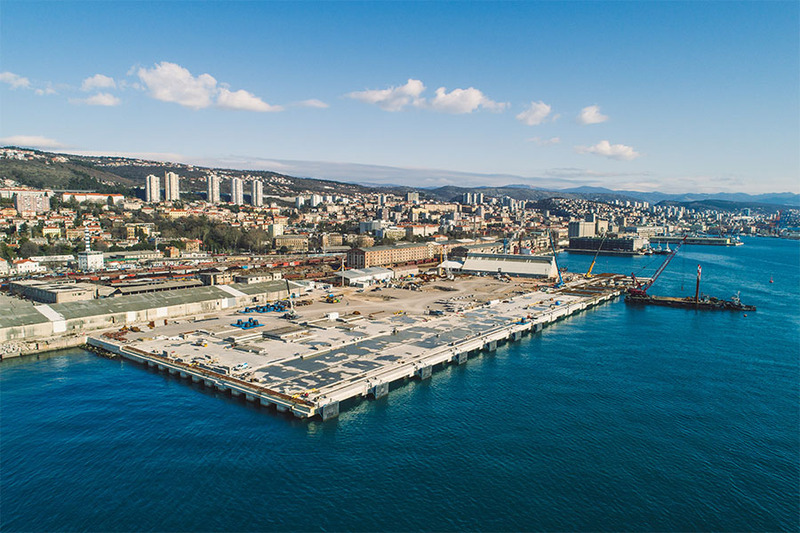 The concessionaire, selected in an international tender, will receive a concession for the management, construction and use of the new container terminal. The Zagreb Deep Sea Container Terminal (ZDSCT) will cover a total surface area of approximately 20 hectares (680 m long and 300 m wide). 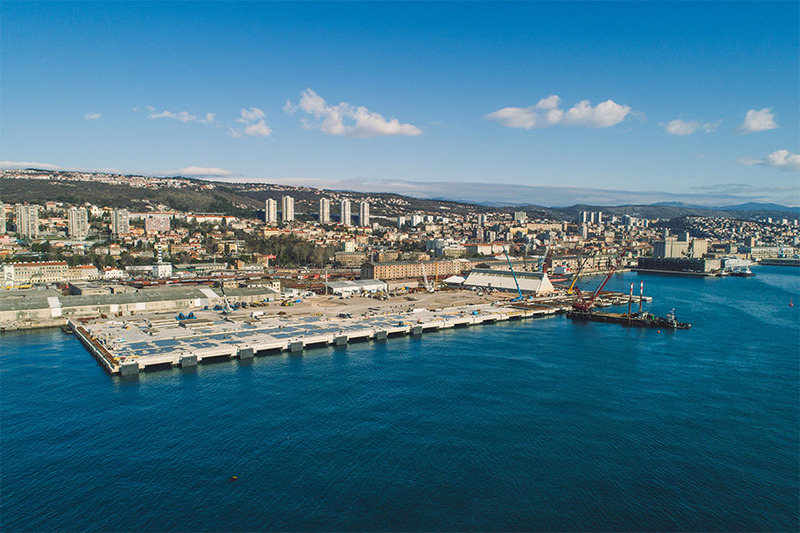 Part of the area is occupied by the existing working areas of the port (piers, roads, tracks, warehouses, installations, energy facilities, facilities for employees, etc. ), with a total area of approximately 10,3 ha. 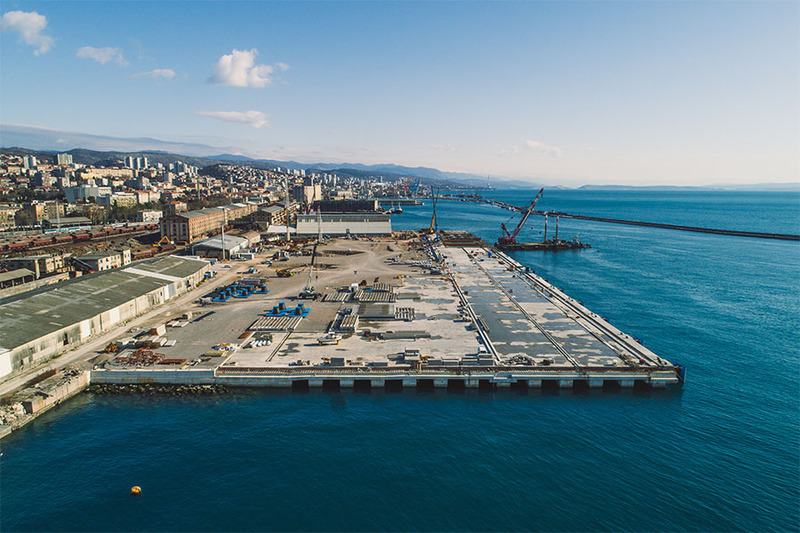 The second part of the terminal area of approximately 7,2 ha is obtained by building the new pier and backfilling the sea. 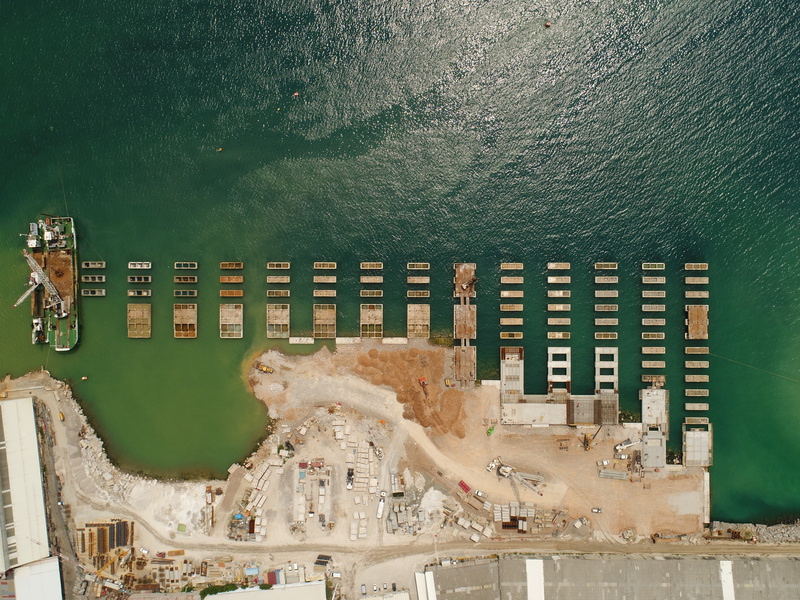 With the construction of the new pier in full length, a 680 m long and 20 m deep wharf can be obtained, with the possibility of mooring container vessels of more than 165,000 DWT and of lengths over 366 m (last generation ships with a capacity of more than 14 000 TEU). 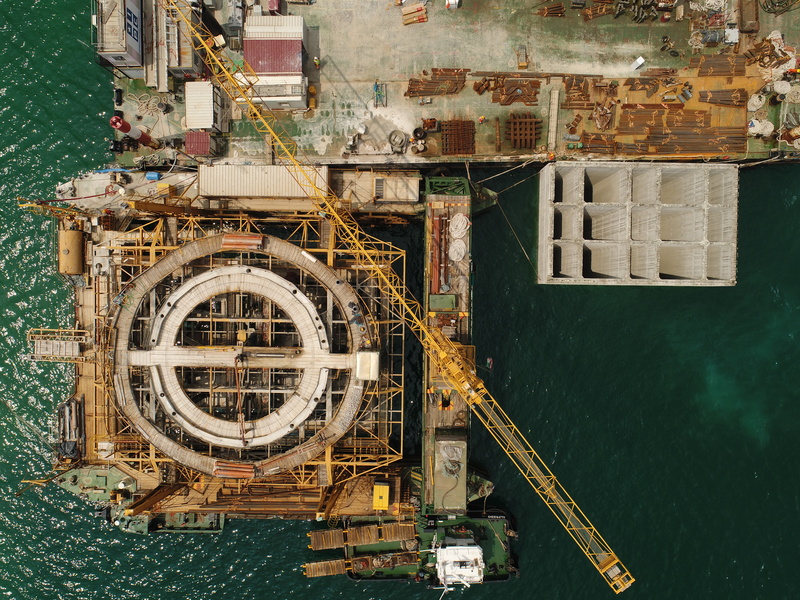 Additionally, the pier length of 680 m allows simultaneous mooring of a smaller ship up to 50,000 DWT and up to 250 m in length (vessels with a capacity up to 4 000 TEU). 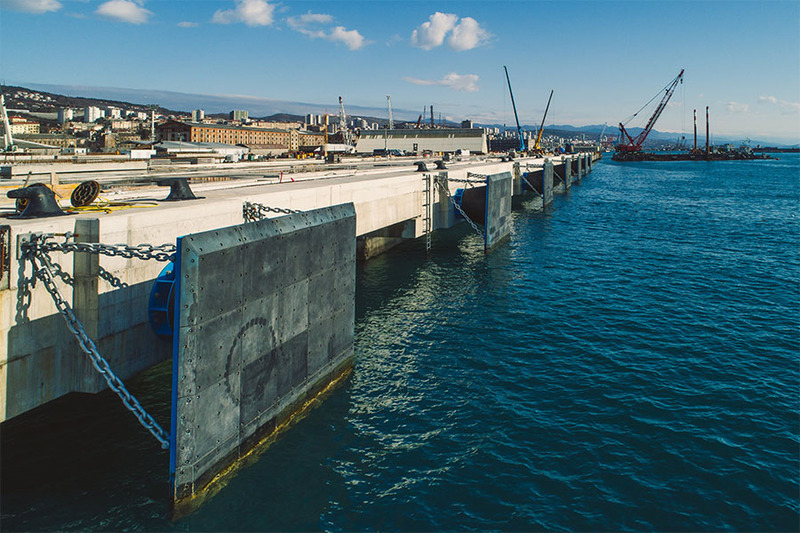 The new pier is made of reinforced concrete caissons, founded on a submarine stone embankment. The ground beneath the embankment is reinforced by gravel pillars and jet grouting. 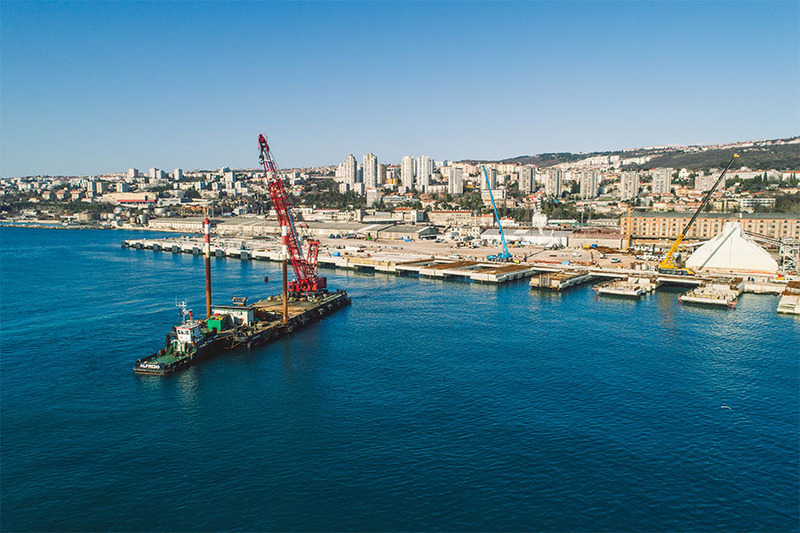 The general height level of the pier (pier zone about 40 m wide) is +4,05 m. This is the boat mooring and container cranes operation zone (35 m track gauge). 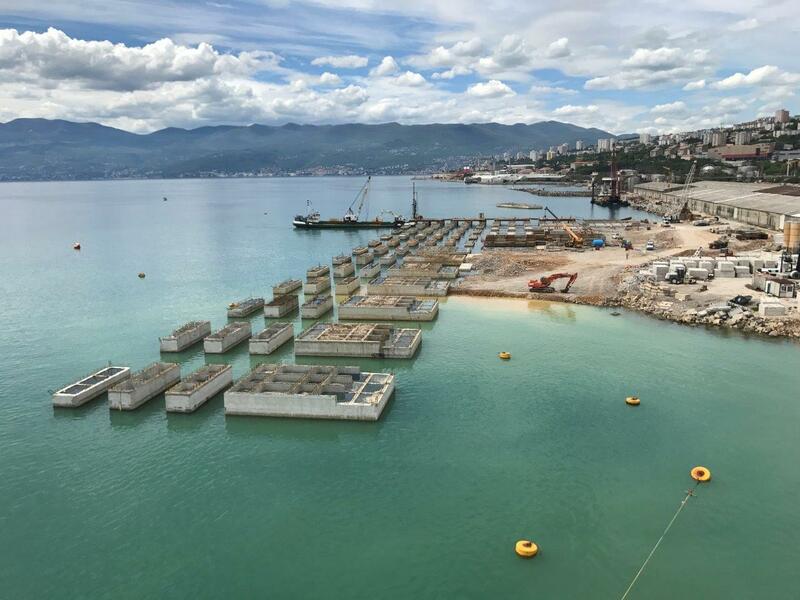 By backfilling the stone material into the zone behind the pier structure, the operating and storage surface of the terminal is arranged, all the way to the boundary of the project i.e. to the marshalling tracks in the north. The storage area with the associated roads is 680 m long and 170 to 250 m wide. 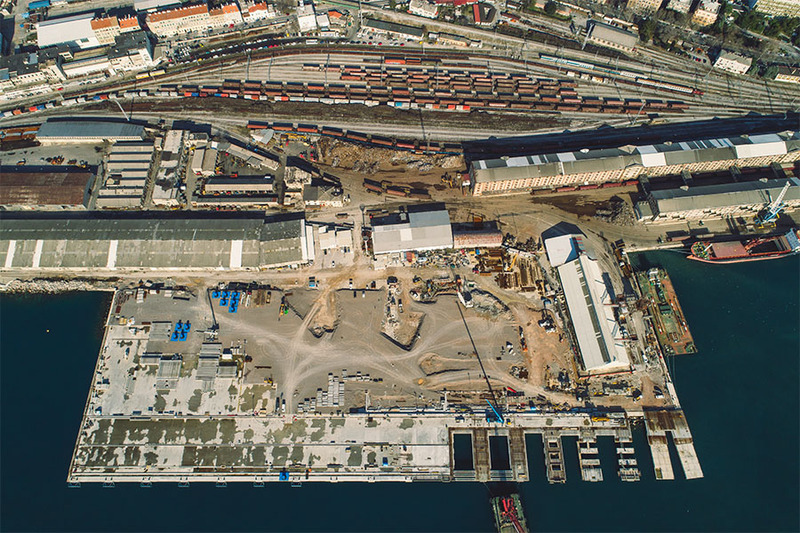 The warehouse plateau descends from the pier to the north, where it fits into the surrounding operational area of the existing port and marshalling tracks (+3,55 m). 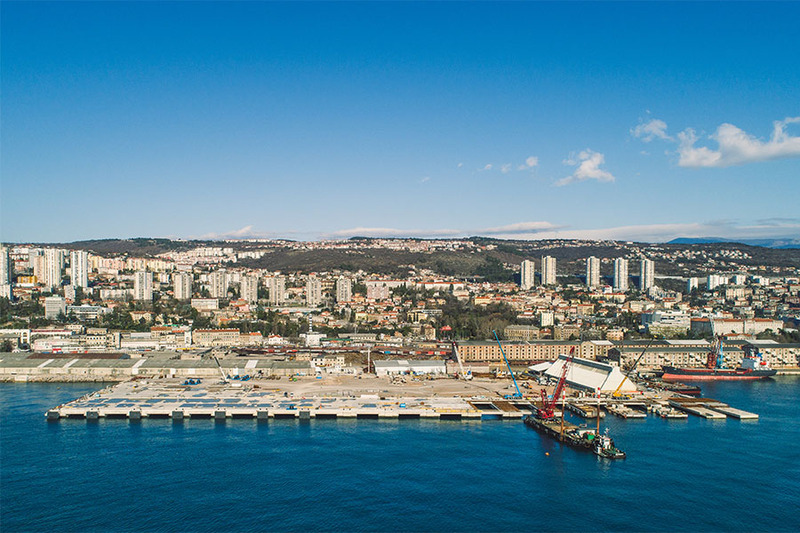 The container terminal will be connected to the new state road D-403 linking the Port of Rijeka, namely the Zagreb Deep Sea Container Terminal, to the Škurinje junction, currently under construction. This way, the Zagreb Deep Sea Container Terminal will be connected to the network of Croatian motorways i.e. the main TEN-T corridor network. The length of the road D403 from the Port of Rijeka (ZDSCT) to the Škurinje junction on the Rijeka bypass is approximately 3 km with a branch for connection to the network of city roads. 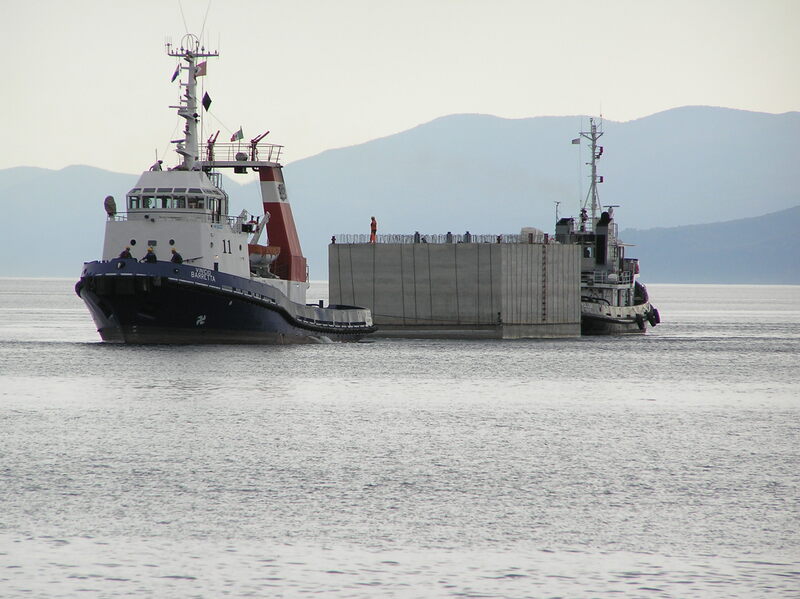 At the same time, European Project “Upgrade of the Rijeka port infrastructure – Zagreb Deep Sea Container Terminal (POR2CORE-ZCT)” is to contributes to the development of the Port of Rijeka as one of the core ports in the Mediterranean through ensuring the efficiency, sustainability and multimodality of freight transport. The project was applied to the second call of the Connecting Europe Facility (CEF) Traffic 2015, Cohesion envelope. Grant Agreement no. 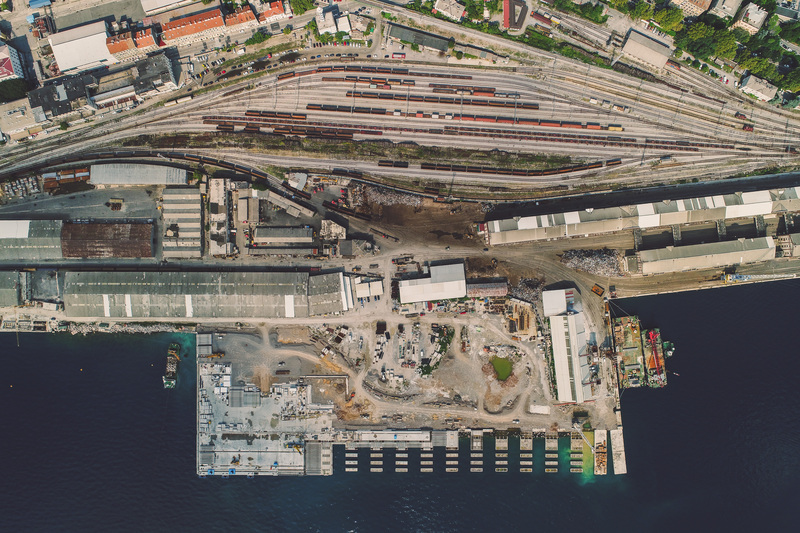 INEA/CEF/TRAN/M2015/1138367 was signed on 18 November 2016 between the Innovation and Networks Executive Agency and the Port of Rijeka Authority, thus ensuring 85% of co-financing from the European funds. 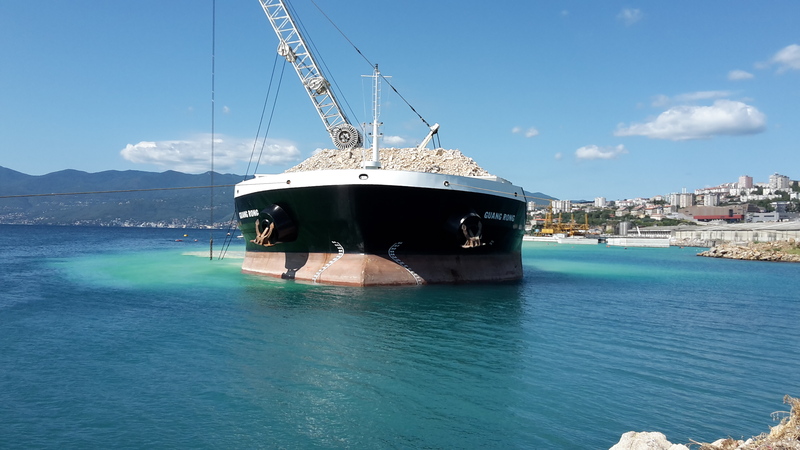 The total value of the project is 31,6 million EUR. 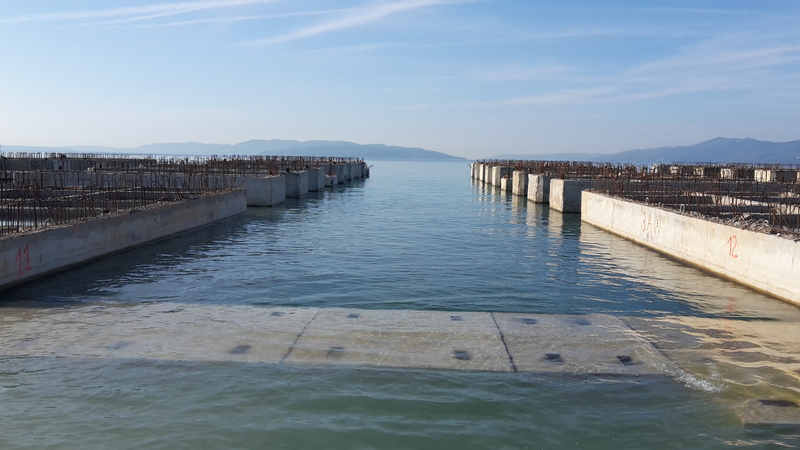 • Rijeka Gateway Project open! • CEF – POR2CORE – ZCT open!